In the eyes of the law (in the U.S., at least), corporations are recognized as people, and why not? They can misbehave like people, they can be greedy like people, and they can be extremely dumb, which is very much like people. So let's treat them like people! Today's list is dedicated to ridiculing some of the dumbest corporate decisions that led to the most epic failed products of all time. I'm not a Coke fan, since it's basically sugary poison in a can, which is why this story is particularly delightful in my opinion. Back in 1983 market share for Coca-Cola was below 24%, and the Coca-Cola company was looking to return to the glory days of 60% market share (just after World War 2). Their researchers were telling them that the Baby Boomers of the time were concerned with their health and weight, and so Coca-Cola decided to create a sweeter version of their original formula to appeal to the young people who preferred Pepsi's sweeter taste. Fast forward 2 years and say hello to New Coke, a reformulated version of Coke's original formula. The result of this move was catastrophic. First, the letters and phone calls came in to company headquarters. 400,000 in all. Yes, you read that right. Five 0's. One of the letters was directed at the CEO of Coca-Cola requesting his autograph, since the signature of "one of the dumbest executives in American business history" would likely become valuable in the future (his words, not mine). The Coca-Cola company even hired a psychiatrist to listen in on some of the calls. He later told management that it sounded like people were discussing the death of a family member, when talking about New Coke. Some people have strange priorities. 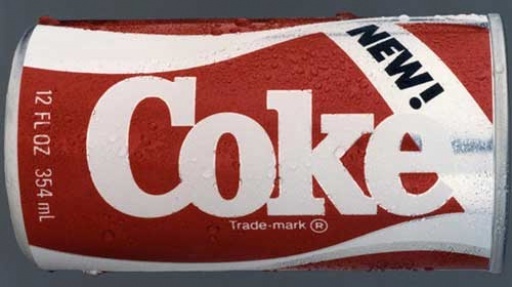 Less than 3 months after introducing New Coke, the original Coke formula was reintroduced, and named 'Coke Classic'. 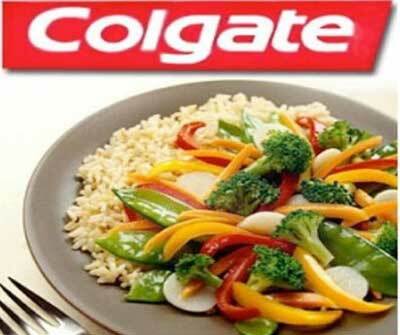 In 1982, having already established their name as one of the market leaders in the oral care market, Colgate decided to branch out. They brought out a range of frozen meals called Kitchen Entrées, presumably with the idea that customers could enjoy their food, then brush their teeth with Colgate toothpaste.